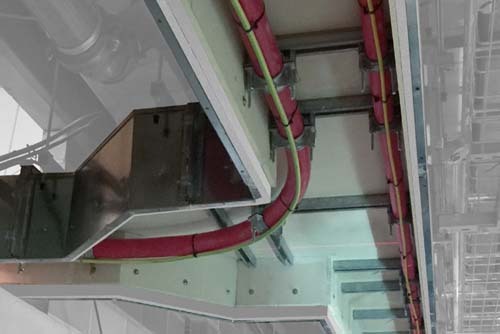 Kemwell Fire’s solution for High Voltage cable protection – the KemSafe CES Cable Enclosure System – created a high voltage reaction of its own when it was showcased at the UK Infrastructure Show on 17th April. 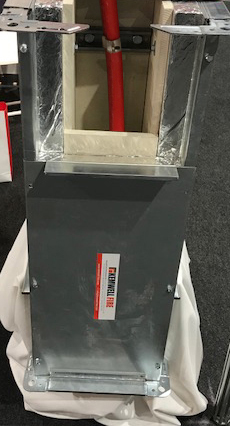 The installation display created an electric reaction amongst the contractors and specifiers visiting the show and clearly demonstrated the simplicity and effectiveness of the Kemwell prefabricated fire protection cable enclosure system, which is supplied in bespoke sections, ready for onsite installation. 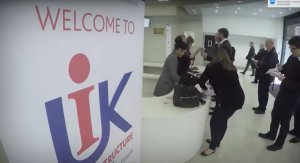 The UK Infrastructure Show 2018 provided participants with a unique opportunity to engage, connect and collaborate with a vast array of key projects, decision-makers and influencers focusing on key areas of major, sustained investment – Transport, Energy and Housing. 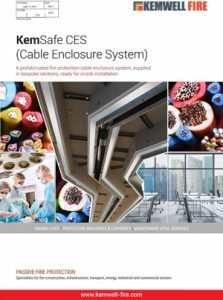 KemSafe cable enclosure systems (CES) are specifically designed and manufactured to provide optimum fire protection and thermal insulation performance at high temperatures. 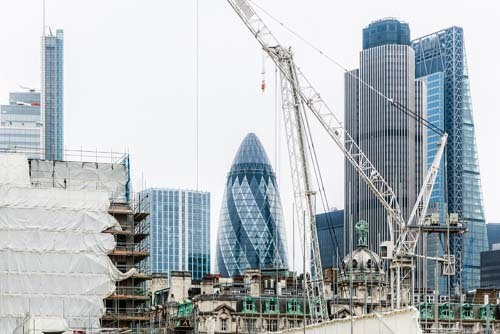 KemSafe CES is a proven solution for the protection of medium and high voltage cables in the building and construction industry, and a tested solution to the requirements of BS 8519:2010. 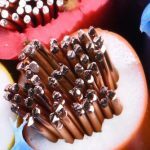 Electrical cables which may pose a significant risk in fire scenarios are installed in many areas of a building, including corridors, and also often distributed to adjoining rooms and compartments. Corridors are used as escape routes during a fire; therefore, cable installations are of particular concern to those responsible for the safety of the building and its occupants, especially with electrical short circuits being a major cause of a fire, and the risk of smoke and toxic gases accumulating in access and escape route. KemSafe CES inhibit the spread of fire and heat when ignited inside the duct, containing it and stopping it entering other compartments (e.g. corridor escape routes) for enough time to allow safe evacuation or for the emergency services to enter.